In discussing premature myocardial infarction (MI), it is important to begin with a simple fact: coronary atherosclerosis is quite common in younger patients (1,2). 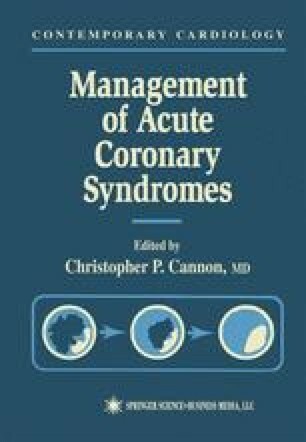 It is the clinical manifestations of coronary artery disease (CAD)—MI and angina pectoris—that may be less frequently encountered (3). The underlying disease process appears to be present in many, if not most, Americans by the age of 30 (4). Autopsy studies on casualties of both war and motor vehicle accidents reveal early signs of atherosclerosis in up to 70% of individuals 30 yr old or younger, with significant flow-limiting stenoses in 10% (5).